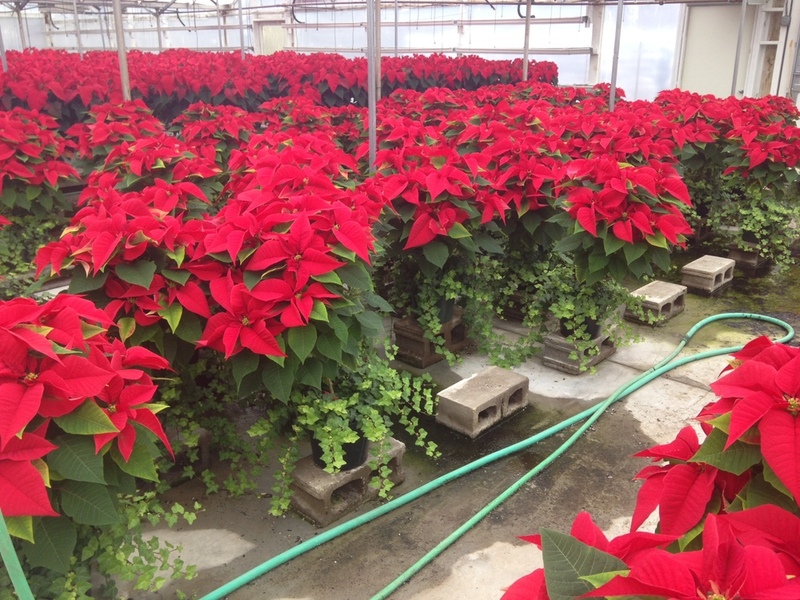 Schlegel Greenhouse has been growing poinsettias for nearly 40 years and we continue to set the standard for quality in the poinsettia industry. We have a wide range of clientele for our poinsettias and feature large sizes that can't be purchased anywhere else. 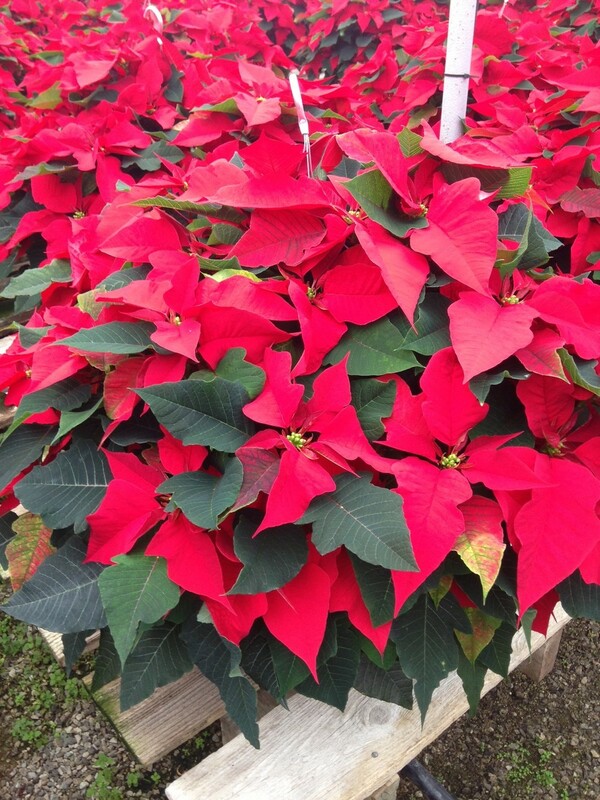 If you are a church, a club, or an organization needing poinsettias we would be happy to work with you. Our low flat rate delivery fees can provide you with an easy way to bring an abundance of holiday cheer to your gatherings, fundraisers, or Christmas church services. Click on image below to scroll through pictures. 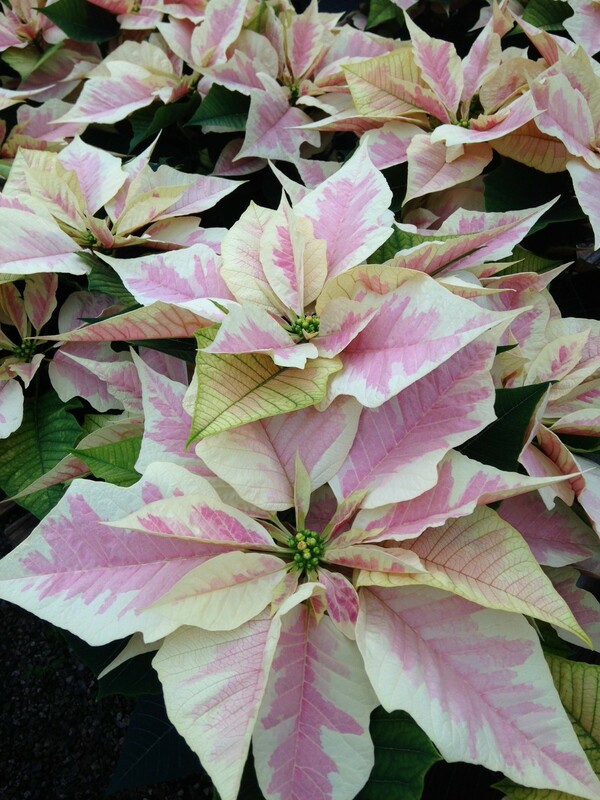 6.5" Poinsettias (Available in red, white, pink, marble, maroon and Ice Crystal.